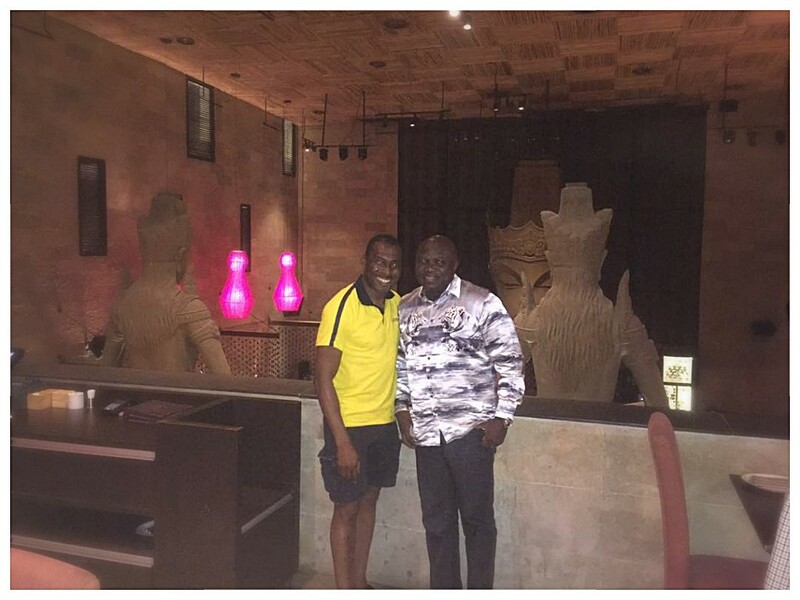 Lagos State governor Akinwunmi Ambode took a tour around Landmark Village with CEO of Landmark Africa, Paul Onwuanibe over the weekend of the 6th of May. The visit was in line with Governor Ambode’s mission to develop the tourism industry in Lagos, ensuring that the necessary infrastructure and facilities were in place to attract visitors to Lagos. 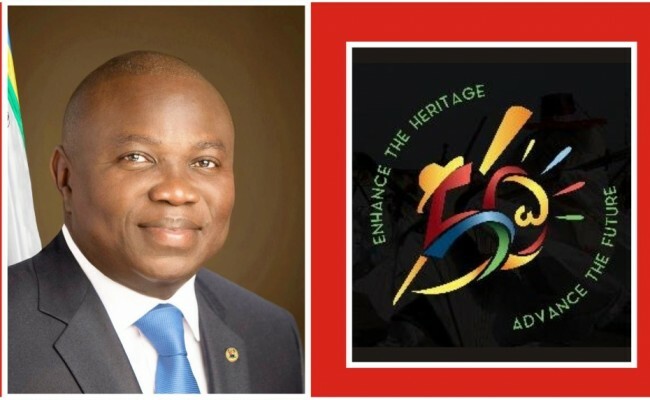 As Lagos turns 50, it is a time to celebrate the progress that has been made in Nigeria’s largest city. Governor Ambode is currently delivering on his pledge to bring significant improvements to the infrastructure in Lagos, ensuring that all areas are well connected as well as advancing possibilities for job creation. This echoes the governor’s motto for Lagos “Itesiwaju Ipinle Eko, loje wa logun” (The progress of Lagos State, is our inheritance/wealth). Governor Ambode was excited to hear about the plans for Landmark Village, an ultra modern ambitious 38,000 sq. 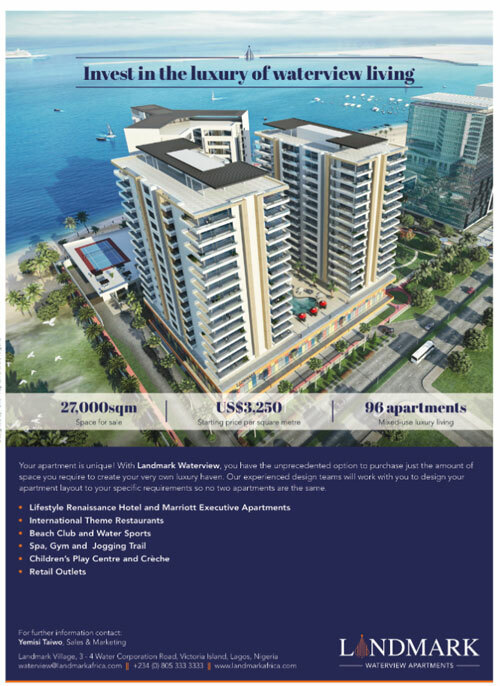 mixed-use development along the Atlantic Ocean front in Victoria Island. The mixed-use development concept has become a growing trend as rapid urbanization has seen large populations move to urban areas. The concentration of facilities within a defined space is popular as it enables people to minimize their commuting time. It brings together retail and commercial facilities, residential facilities and office space. Landmark Village has been designed to be first West African mixed-use development like Melrose Arch in Johannesburg or the Rockefeller Centre in New York. Governor Ambode was pleased with the Landmark Village mixed-use development and was happy to endorse it as it aligns with his ambitions for Lagos as a Mega City. In addition the construction of the mixed-use development will generate employment opportunities during the duration of the construction project over the next 3 to 5 years. 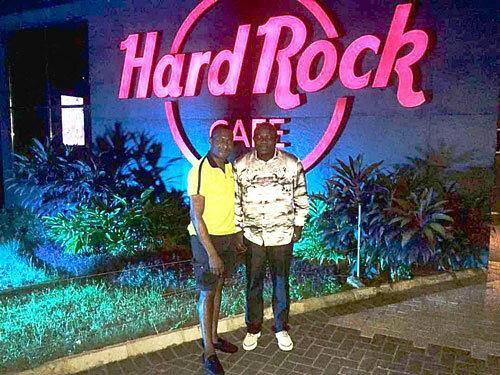 The first phase of the project is already completed and houses the Landmark Event Centre (the largest purpose built event centre in Lagos), as well as the first and only Hard Rock Café in West Africa and Shiro Japanese restaurants. The phased approach adopted enables adjustments to be made to future plans, keeping in line with the prevailing economic dynamics in the country.